ANNAPOLIS – A pair of bills were introduced today in the Maryland House and Senate that would allow patients with certain qualifying conditions to use medical marijuana with doctors’ recommendations. The bills, HB 1024 and HB 1148, are based on the recommendations of a study panel created by the legislature in 2011 and were introduced in the House by Del. Dan Morhaim. Senator Jamie Raskin is expected to sponsor similar legislation in the Senate. One version of the legislation, championed by state legislators on the work group, allows doctors to recommend medical marijuana to their patients who could then purchase it from licensed dispensaries, all of which would be overseen by an independent commission. The second version, put forward by Department of Health and Mental Hygiene Secretary Joshua Sharfstein, tasks academic institutions with distribution of marijuana. 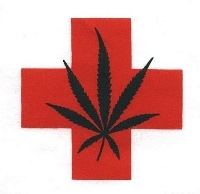 Both bills would protect licensed patients from arrest and prosecution. Currently, patients are only afforded an affirmative defense in court, but are still subject to arrest even if they’re subsequently able to demonstrate medical necessity. Del. Cheryl Glenn has already introduced another medical marijuana bill that would allow patients to cultivate limited amounts of marijuana, in addition to establishing a dispensary system. Both work group models would restrict cultivation to state-registered growers. If any of the bills pass, Maryland would become the 17th state, along with the District of Columbia, to allow seriously ill people to treat their conditions with medical marijuana. There are 17 other states considering similar legislation this year. A recent Gonzales Research poll showed that 64% of Marylanders support allowing medical marijuana in their state. Pointless, expensive and failed drug prohibition policy must go! (USA) Iowa to re-schedule marijuana?